Healthy Kidneys are important to a healthy person and healthy living. Kidneys are affected by a number of commonly afflicting diseases including high blood pressure, diabetes, high cholesterol and obesity. 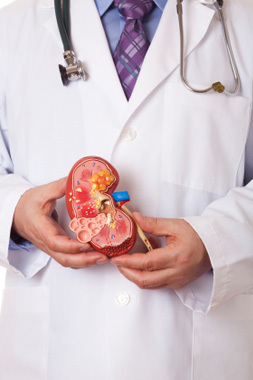 Kidney disease is associated with few if any symptoms. Most of our patients with advanced kidney disease may feel well until it is too late to prevent kidney failure. Patients continue to make a lot of urine even after they start dialysis. Urine volume is not an indicator of good or adequate kidney function. Please do not be misled by how much urine you make. Numerous medications affect the kidneys, including over the counter medications, especially NSAIDs which are used every day by people to treat chronic pain. Simple blood test (serum creatinine) is the only way to determine if the kidneys are affected by disease and not functioning properly. High blood pressure, also known as hypertension, affects millions in the United States. It is one of the leading causes of stroke and kidney failure. It affects males and females of all races. Prevalence of hypertension increases with age as blood pressure rises with age. Some causes of hypertension include but are not limited to stress, obesity, smoking, and high salt or sodium intake. Patients should check their blood pressure regularly or as instructed by your physician. It is a treatable condition, and with medications and/or lifestyle changes, treating high blood pressure properly can help prevent all complications of hypertension. There are two common types of diabetes. Type I or Insulin dependent diabetes is caused by a very low or absent insulin production in the body. Type II or Non-Insulin diabetes is when your body produces insulin but your cells cannot use it well, this is called Insulin resistant. Type II is the most common type of diabetes. Diabetes is controllable and can be managed with proper medication, dietary restriction and exercise. Diabetes is a constantly changing disease, often requiring many medication changes to help regulate your blood sugar. You are more in control of your diabetes than your physician, as your daily habits will affect your blood sugars. Compliance and routine are the keys to managing your diabetes. Anemia occurs when there is a decrease in the number of red blood cells or less than the normal quality of hemoglobin in the blood. Anemia is the most common blood disorder. Some of the signs or symptoms of this disease are weakness, fatigue, shortness of breath and palpitations. Some patients develop anemia from blood loss. This could be caused from an ulcer, gastritis or internal bleeding. Another form of anemia is Iron deficiency anemia. This is caused by decreased dietary intake of iron or non-absorption of the iron in the body. Anemia is a common complication of kidney disease and can be treated effectively by injections to improve the quality of life and helping to reduce the need to require multiple blood transfusions. Most patients are unaware they have this disease until diagnosed by a physician. Patients need dialysis when their kidneys are unable to clean the blood adequately. Most patients do not need dialysis until the kidney function is less than 5%. There are different ways of doing dialysis including hemodialysis and peritoneal dialysis. Dialysis can be performed conveniently at home or at a center to allow patients with end stage kidney failure to lead a fairly normal life and continue to be gainfully employed. 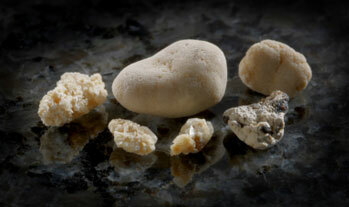 Kidney stones affect more people than we realize. Most patients who pass one stone are likely to pass another stone during their lifetime. Passing stones can be a very painful experience and can be prevented by a joint effort between the urologist and nephrologists. Organ transplantation is our preferred goal for patients who develop or are headed to end stage kidney disease. Kidney transplantation requires rigorous pre-transplantation evaluation and enrollment on a list at one of the many centers around the state and country. We evaluate and monitor our patients while waiting for a transplant and then follow them alongside their transplant team after they have received their transplant.